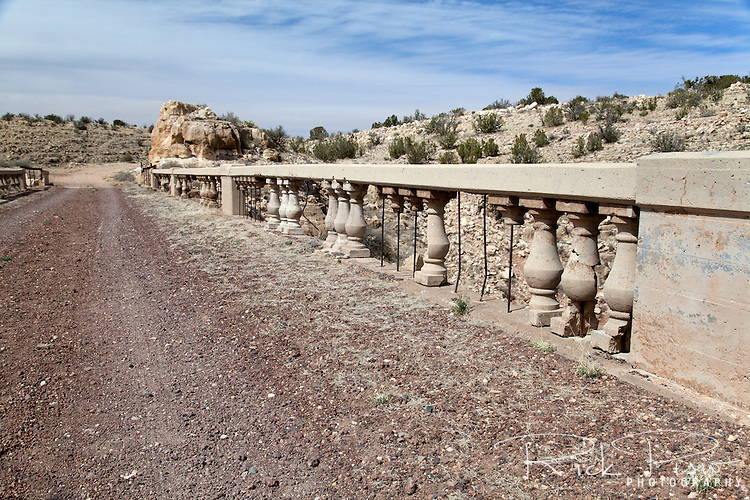 Padre Canyon Bridge spans the Padre Canyon in Arizona, east of Flagstaff. Once part of the National Old Trails Highway, and later Route 66, it's construction allowed vehicles to pass over Padre Canyon whose steep canyon walls were a major transportation obstacle on the relatively flat Arizona high desert since the days of the Winona-Flagstaff Road. The bridge, classified as a Luten Bridge, was enginereed by Daniel B. Luten and built by the Topeka Bridge and Iron Co. in 1914 for a total cost of $7,900. On September 30, 1988 it was added to the National Register of Historic Places.